This year at the 24 Hour of Le Mans, Porsche won, in fact their three teams came in 1st, 2nd and 5th. With seventeen 1st place victories, the Stuttgart based automobile manufacturer has the most wins of any manufacturer. The Porsche teams drove LMP1 Porsche 919 Hybrid racecars (shown). The winning team includes drivers Nico Hülkenberg, Mark Webber and Romain Dumas. 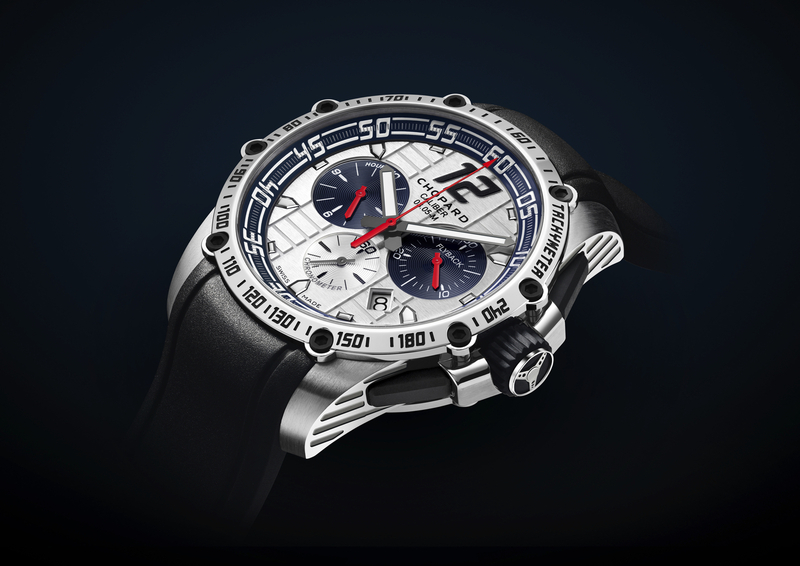 On the occasion of the victory, Chopard unveiled a new limited edition watch, the Superfast Chrono Porsche 919 Jacky Ickx, dedicated the Mr. Ickx, who had an impressive six Le Mans wins during his career. 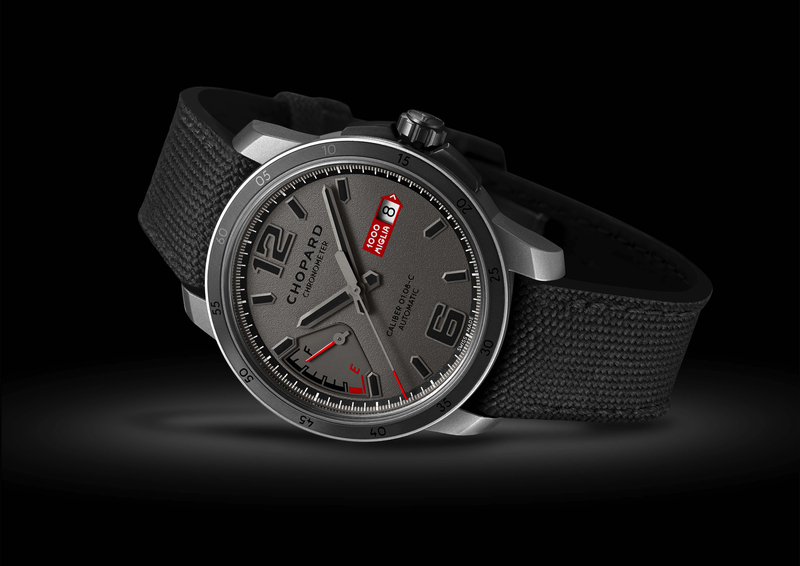 Presented in a 45 mm by 15.08 mm stainless steel case, both the steel bezel and steel caseback are secured by eight blackened steel screws. The back is engraved with the inscriptions “Official Timing Partner Porsche Motorsport” and “Jacky Ickx Limited Edition.” A screw-locked crown protects water from entering the case and is adorned with a black rubber-molded steel steering wheel motif. Water-resistance is 100 meters. An opaline silver-toned dial with matt blue inner bezel ring, white and silver-toned transfers differentiates this model from the standard timepiece. 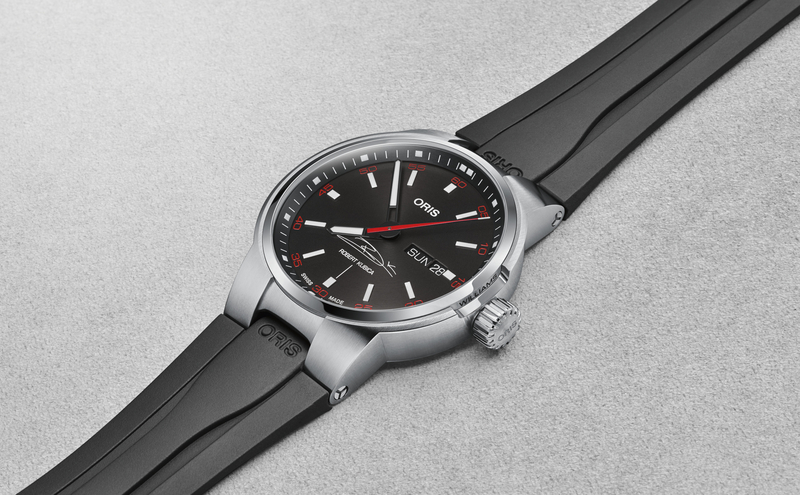 Metallic black hour and minute hands and hour-markers indicate the time, along with an arrow-tipped red central seconds hand that indicates chronograph seconds. 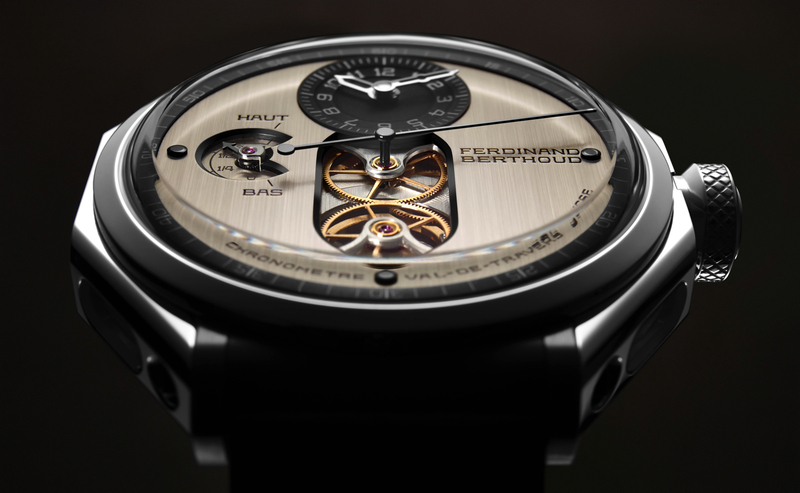 Beating at 4Hz the chronograph movement has 45 jewels, a 60-hour power reserve and features a flyback function. The chronographs hours and minutes are indicated by red hands on the blue azurage finished subdials at 9 and 3 o’clock, respectively. A date aperture sits at a 45-degree angle in between 4 and 5 o’clock. And at 6 o’clock is the small seconds display with a black hand and the word “chronometer,” as the movement is COSC-certified. Each Superfast Chrono Porsche 919 Jacky Ickx is paired with a black rubber strap with Chopard’s signature tire tread motif, and a polished steel folding clasp. (Ref. 168535-3003) Available in a limited edition of 100. Retail price is $13,110.